Dr. Raj Mathur is a Consultant Gynaecologist and follows a long established career in Reproductive Medicine. He has a unique understanding of the individual needs of both private and NHS patients, as the creator of Cambridge IVF clinic, which he established in the region before moving to Manchester in 2014. Well published in the field of infertility on reducing the risks associated with treatment, he has specific expertise on Ovarian Hyperstimulation Syndrome and is the author of national guidelines related to the condition. 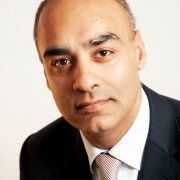 Dr. Mathur is also external advisor to the HFEA and is lead for Policy and Practice for the British Fertility Society.